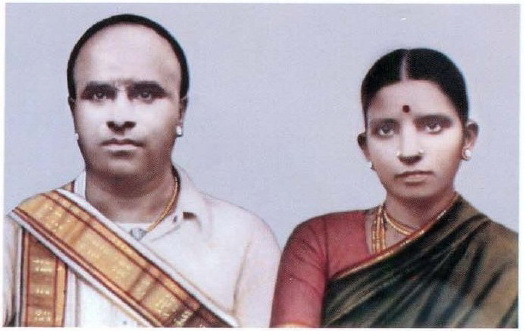 Palghat Rama Bhagavathar (5th June 1888 – 26th May 1957) was not born great nor was greatness thrust on him. He became a “great man” by his total dedication to Carnatic Music and “departed leaving behind him foot prints on the sands of time” ever firmly, ever perceivable and non-erasable. The Tamil poets Avvaiyar has said, “Rare is it to be born as a human being, rarer still is to be born with one’s body and mind without defects and rarest of all is to have one’s faculties fully functional and focused in the service of God and One’s fellow human beings”. Rama Bhagavathar with his blemishless body, mind and soul directed all his faculties with single-minded devotion in the service of his chosen Deity, Lord Rama and in giving bliss and delight to his fellow human beings through the medium of Carnatic music. Despite all odds through his tireless efforts and unwavering devotion he raised to Himalayan heights in Carnatic Music. His modest home in Old Kalpathy, Palghat still seems to echo his raga alapanas, swara prastharas, sangathis and kalpana swaras. 9 Nadar Mudi – Punnagavarali.